For the third time this week, you’ve found yourself cursing the un-usability of your kitchen. The drawers come out in all the wrong directions, the cabinets are so shallow that you can barely use them and the entire layout just puts you off. You’re ready to talk about a kitchen remodel. Or maybe you just want a shiny new kitchen — there’s nothing wrong with that. Shiny new kitchens are amazing and give you the opportunity to create the space you need, rather than forcing your existing kitchen to kinda sorta work. You went to the home improvement store and found some samples of tile, backsplash and counter that you really love, but that’s about as far as your planning has gone so far. That’s ok, there’s a lot to think about when you’re considering ripping out one of the most important (and complicated) rooms in your home. Now is a great time to stop where you are and ask yourself a few very important questions. #1. What Will It Cost, Really? Estimating the cost of a kitchen remodel is a bit like trying to nail a runny egg to a tree: messy and tragically frustrating. This is because there are lots of parts that have to be considered. Due to the various pieces involved and their corresponding quality levels, a custom quote from a contractor is the best way to know for sure how deep you’re getting into the savings account. However, if you’re just starting to think about a kitchen remodel, it may help to know that the national average cost for your project is $22,768. The typical price range is $12,554 to $34,104. The low-end is listed at $4,000. Please note that these numbers are based on user contributions, so your mileage may vary. The largest cost by a bit is the cabinetry. Cabinets and hardware usually make up about 30 percent of the budget. This is a great place to save some cash, especially if your cabinets are in good shape and can simply be re-purposed. Adding new hardware or doors often changes the whole equation. If those cabinets absolutely gotta go, then you can use this as a good starting point for estimating your dream kitchen cost. #2. Will I Get My Money Back If I Sell? The short answer is no. The rare few remodeling projects will return your entire investment. You should instead consider the value you’ll get from the use of that new kitchen along with any potential resell returns down the road. That being said, Remodeling determined that among many common remodeling jobs, a mid-range minor kitchen remodel was the fifth best returning update for 2018. The magazine estimates the cost of this type of remodel at about $22,000 and the associated increase in resale value of the home at $17,193. In this generic nationwide situation, the homeowner could expect to recoup 81.1 percent of their investment. This same type of remodel was worth a little more in 2018 than the year prior. In 2017, an updated kitchen only recouped 80.2 percent of the money put into the effort. #3. Can I Survive It? This is perhaps the question you should ask yourself first, even though it’s the last one on the list. Any time you remodel a heavily used area of your home, it’s going to be a nightmare. Not only will there be lots of mess, dust and debris, you’re not going to be able to use the kitchen at all. All the stuff you have stored in there has to go somewhere else and you’ll have to figure out what you want to do about meals. Get it on paper. Make sure that you have a written agreement with your contractor and your spouse about what goes into the new kitchen. Spell it out in painful detail, both for clarity and so that when you or your spouse starts to think the cabinetry is the wrong color, you can refer back to the agreement. Adding photos will help ensure that your kitchen is exactly what you wanted and your lack of proper nutrition doesn’t trick you into thinking you ordered the stainless steel appliances when you actually got the black ones. Move your kitchen into your garage or spare bedroom. Ahead of the project start date, box everything in the kitchen as if you were moving, making sure to label everything completely so you can get the most important things out as soon as the remodel is over. This way nothing gets damaged or lost in the confusion. Set up a temporary kitchen elsewhere. It’s not going to be a five-star restaurant, but a folding table with a coffee maker, microwave and a mini fridge can make things a lot easier while your kitchen is out of service. You can only stand (or afford!) so many restaurant meals. Along with juggling all the stresses of having workers in your house making a ton of noise and mess (that you’re paying them for! ), you may start to have real relationship problems. Living through a remodel is not for the faint of heart. If your spouse doesn’t really have a great picture of what this remodel will do to your home during the construction phase, now is the time to talk about it. There are few things that will destroy a marriage like a remodel. The stress is high and there’s a lot of money on the line — not to mention the major disruption remodels can be to your routine and life in general. It’s really important that your spouse is all in on this project with every step, from looking at lighting to choosing the perfect counters, even if they’re not really a kitchen person. You’ve got the green light from your better half (or you don’t have one and instead gave a self high-five to show your approval of the project), so it’s time to find a general contractor or specialists like cabinet makers, electricians and plumbers.. Unfortunately, you don’t know any home pros and neither do your friends. 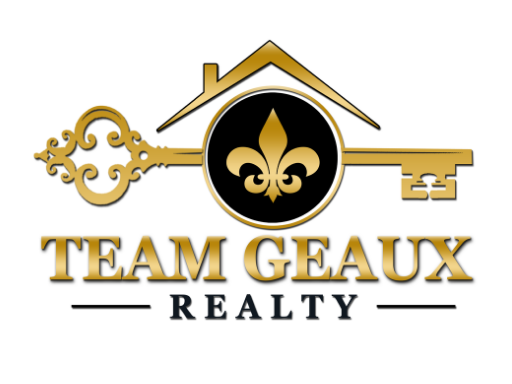 Call your Team Geaux Realtor. Previous Do You Need an Emergency Plumber to Save the Day? Next How Smart is Your Smart Thermostat?